The holiday season is upon us and with that comes a flurry of dinner parties, family gatherings and celebrations. Aside from feasting on food until your pants feel tight you will most likely be washing it all down with wine. Now, if you are playing host and fear committing a faux pas while opening or serving wine you have nothing to worry about. Just follow these simple tips below and all you'll have to concern yourself with is having a good time. Party goers will also find plenty of tips for sipping wine without embarrassing themselves. Ok, ladies. This is something we all dread. Lipstick stains on wine glasses look sloppy but avoiding them is easier than you think. No, it doesn't involve smearing yet another expensive product on your lips. Instead, all you have to do is lick the glass before you take a sip. Say what?! We know, we know. It sounds a little odd but we promise no one will notice a quick slip of the tongue right before you take that first sip. You can thank the folks at PureWow for this awesome wine tip. Want to serve wine like a boss this holiday season? Award-winning sommelier Andreas Larsson has a few tips for you. First and foremost, you should never serve wine at the wrong temperature. Red wines should not be warmer than 18°C or whites colder than 12°C. Also, the right glass makes a world of difference. Larsson says you should never use a glass that's too wide at the top. Speaking of glasses, you should also never fill a wine glass all the way. Fill it one third of the way to give it room to develop its aroma. Lastly, if you really want to look like a connoisseur never hold the glass by the middle. That's for amateurs! Instead, always hold it by the stem. If you really want to be a boss this holiday season serve your vino in a wine cradle. It's just what it sounds like. A little cradle for your bottle of wine. Not only does it look fancy but it offers support when carrying a bottle to the table in case someone elbows you while you zig zag through the crowd. The wine cradle will also keep your vintage at a nice angle once it is served. In this video Larsson makes the case for using a wine cradle, an old school corkscrew and decanting a bottle. 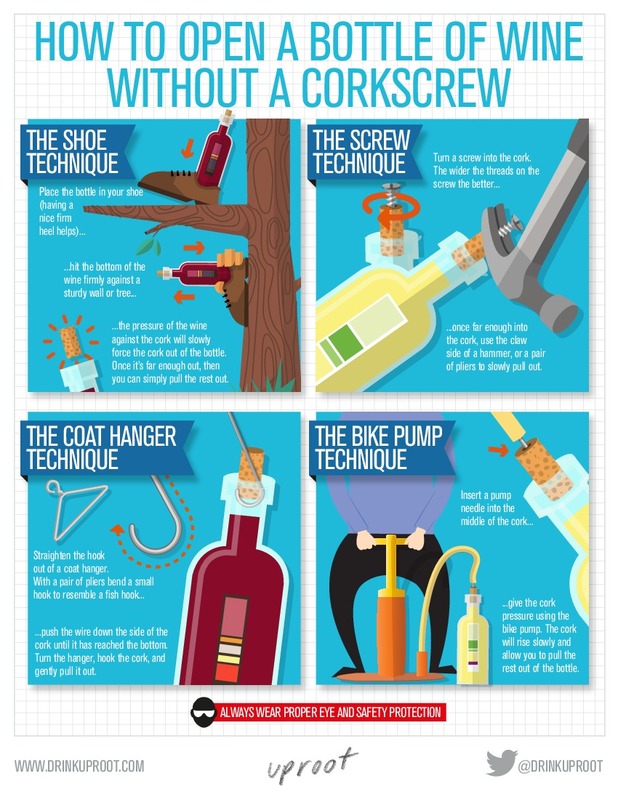 If you commit the ultimate wine faux pas (forgetting a corkscrew!!) then use this guide to help you open a bottle of vino in a jiff.